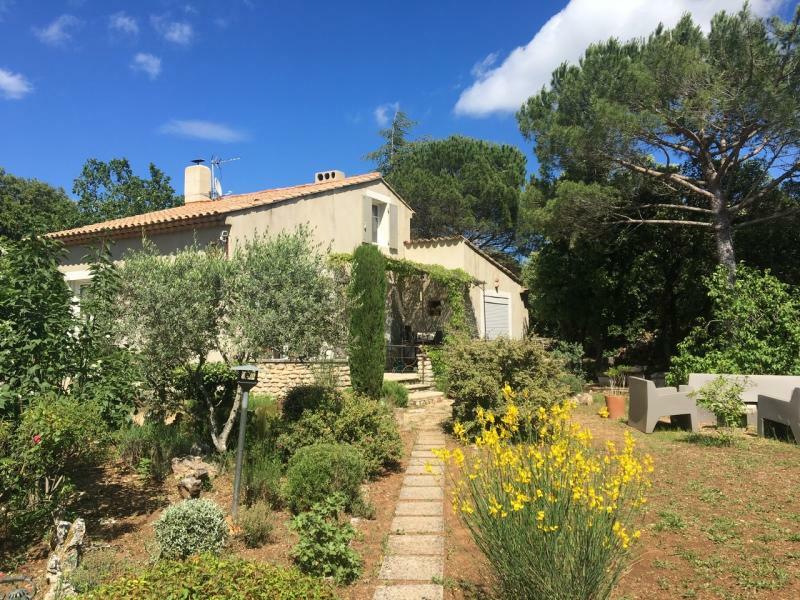 Your holiday rental on a private property of 120m2 on 5000m2 of wooded grounds with swimming pool and a beautiful borie over 300 years old. in a secluded position and tranquil environment with no co-owner or owner on site. 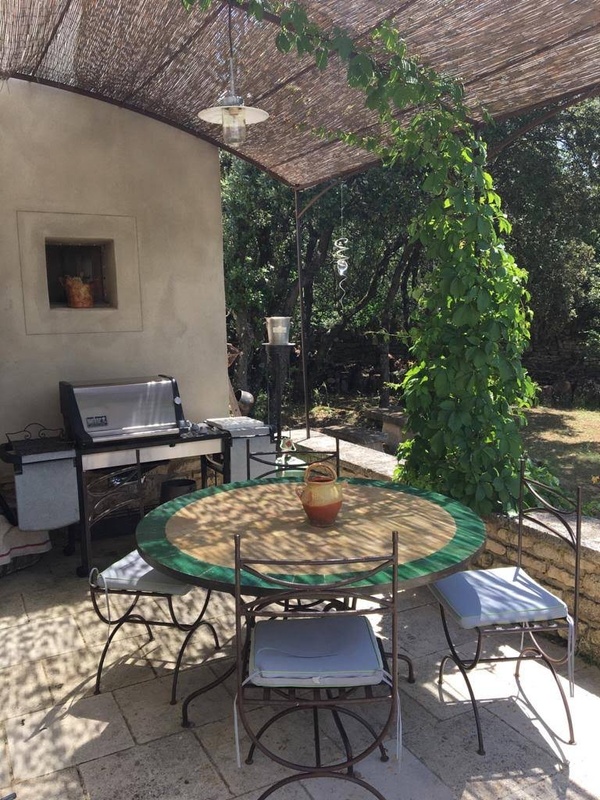 Terrace with garden table under pergola, gas grill/barbecue. 2 attic rooms with 140cm wide beds. At your disposal: topo guides to climbing and hiking in the area plus IGN maps of the région. via the link at the bottom of this page. (Prices vary depending on season and number of persons) (Low Season) :2 to 5 Persons 650€ April (school holidays) 2 Persons : 650€; 3-5 Persons : 850€ POOL SEASON OPENS : May 15th / October 15th ! May, June, September (Mid season) : 2 /5 Persons : 1400€ July, August (High Season) :1890€ / 2000 € Prices include: tourist tax, Water, Electricity, Gas and heating during the winter months Beds are made before your arrival. Sheets, towels, linens and beach towels are provided. Pets are allowed IN AGREEMENT WITH THE OWNER. Séjour très agréable de l'accueil au départ. La maison est confortable et très bien équipée avec autour une grande piscine et un joli jardin. Les alentours sont sublimes pour les sportifs et non sportifs! Allez-y! !